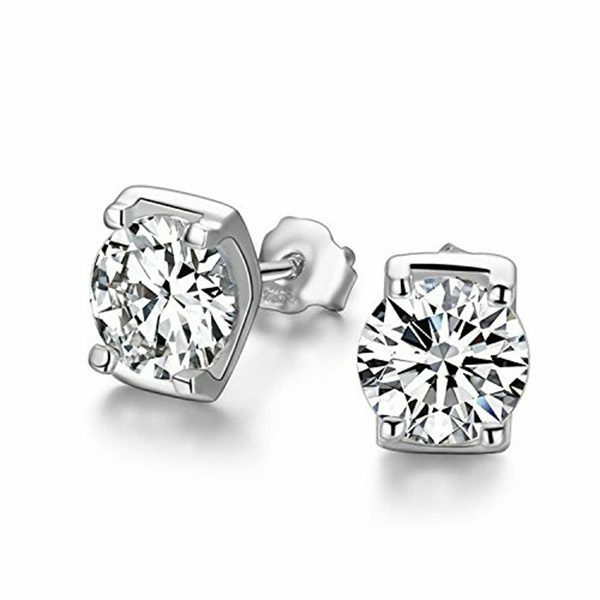 Karianne’s Secret offers a a range of beautiful simulated diamond studs an earrings with styles and prices to suit all tastes. 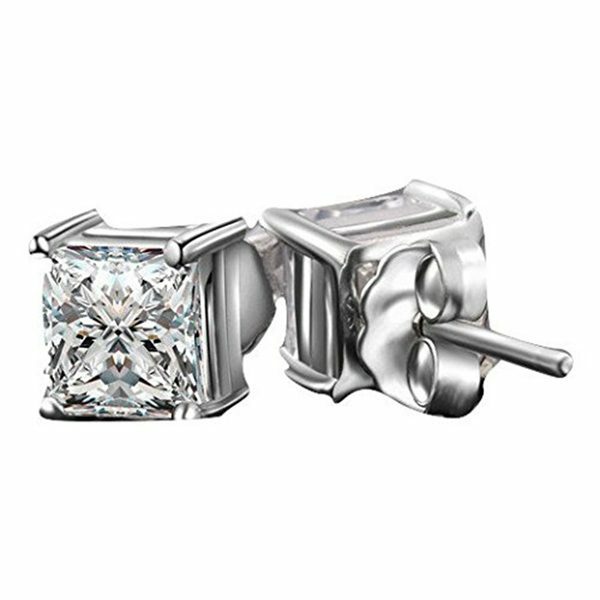 Our range of studs and earrings have been selected to offer a good range without being extensive. 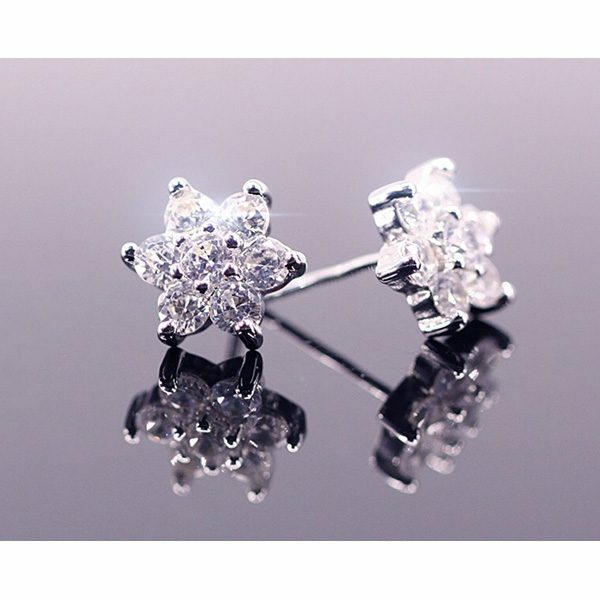 All of our studs and earrings are constructed from sterling silver and vary in size and style, some are selected for children but the majority are much more sophisticated. The price range at (£7 – 40) reflects these differences, here’s a list of our selected pieces and their descriptions. 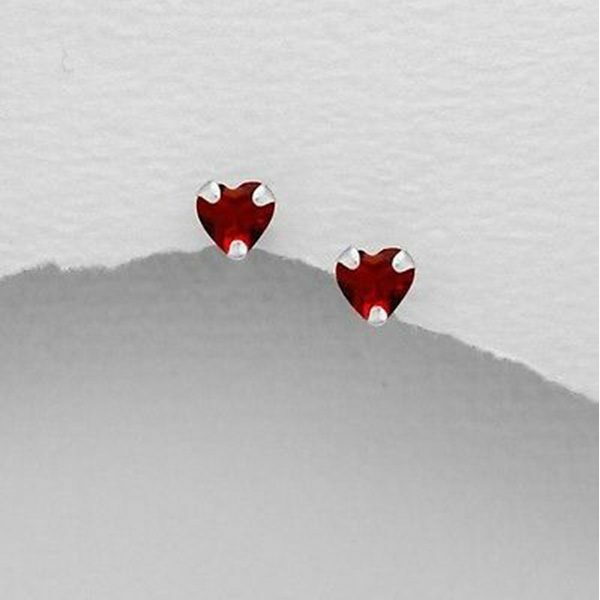 These studs literally allow you to carry your heart, with their style adding its charm to any outfit you wear. 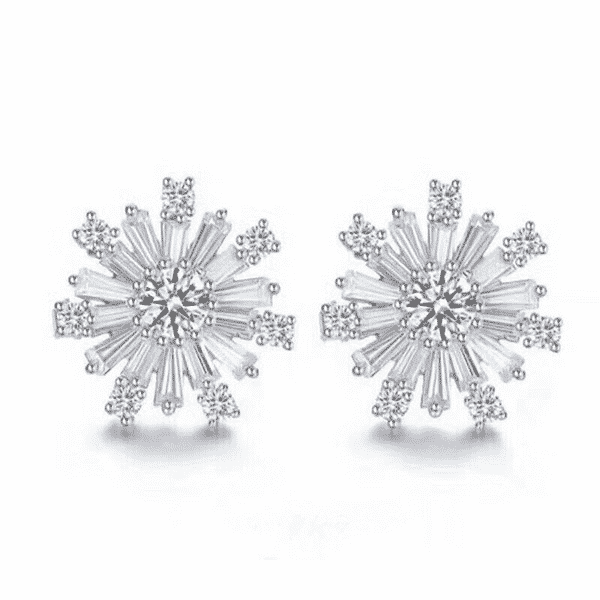 If you’ve been a fan of the cute, princess-like appeal which further differentiates you from the crowd… These might be the studs for you. 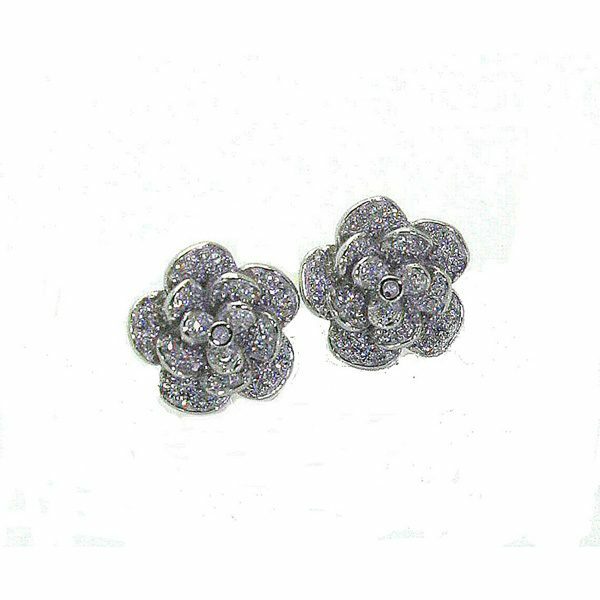 Sterling Silver Rose Stud Earring Set With Sparkling Simulated Diamonds. 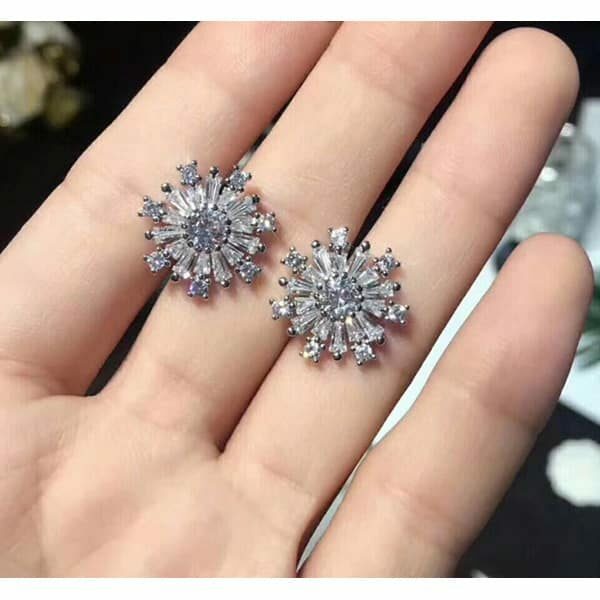 These simulated diamond flower studs are specifically designed for Karianne’s Secret and are amongst the most unique available in the market right now. 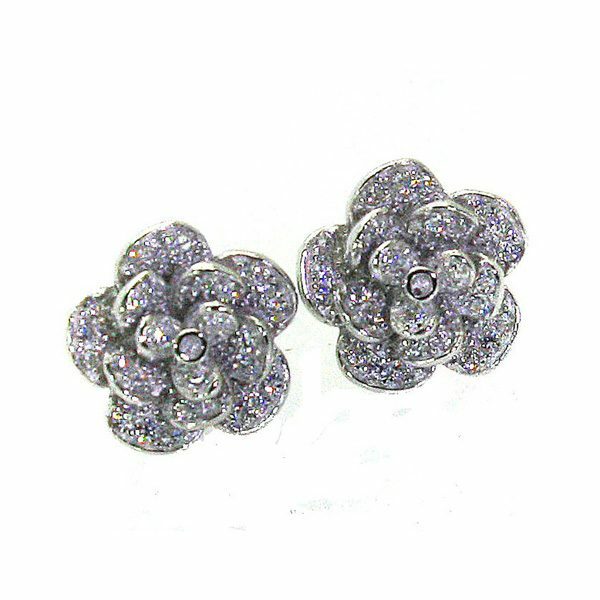 Encrusted with sparkling cubic zirconia’s they are sure to draw attention and compliments from your friends. 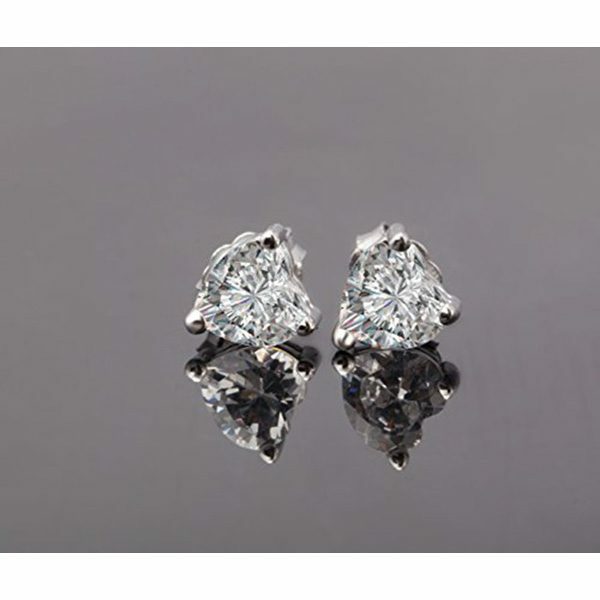 These more conventional simulated diamond stud earrings come in a variety of shapes and sizes. Usually worn by women they are becoming increasingly popular with men. You really can’t ever go wrong with this simplest of designs and most jewellery collections include at least one of this type of stud. 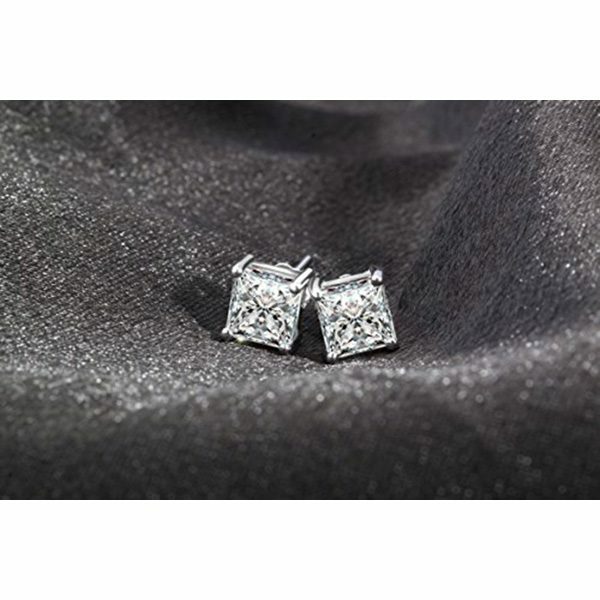 These small earring studs are ideal as sleepers or for young girls needing a simple stud. 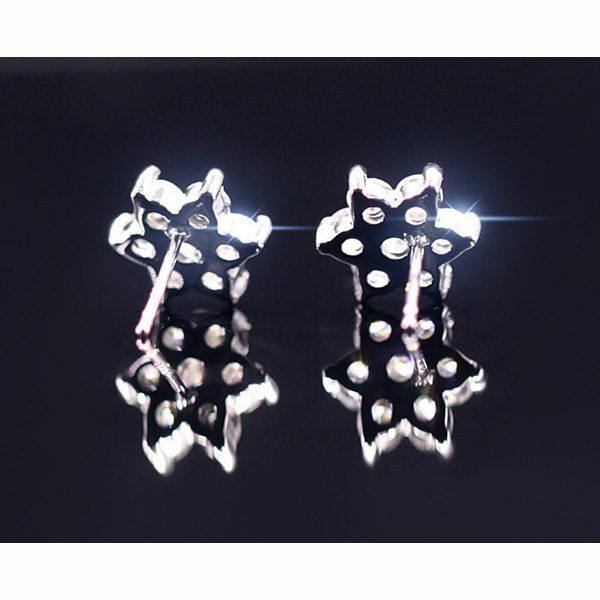 Ideal for day wear and inexpensive these studs are available to all. 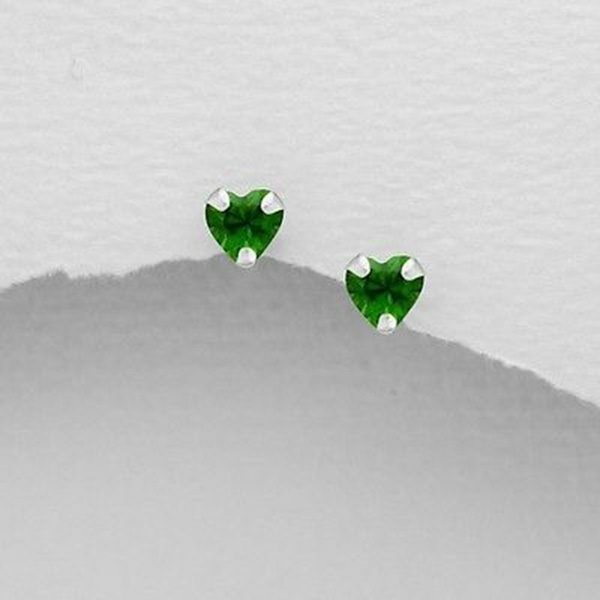 These Green Heart studs are identical in style to the Red Heart studs described above. At around £8 why not have a set of each colour. A Freshwater Pearl Stud is indeed quite a classy addition to your jewellery box. They are available in two sizes and are sure to be commented on favourably by your friends and family. Often worn throughout the day but also ideal when evening wear when dressed up. You simply can’t go wrong with pearl studs. 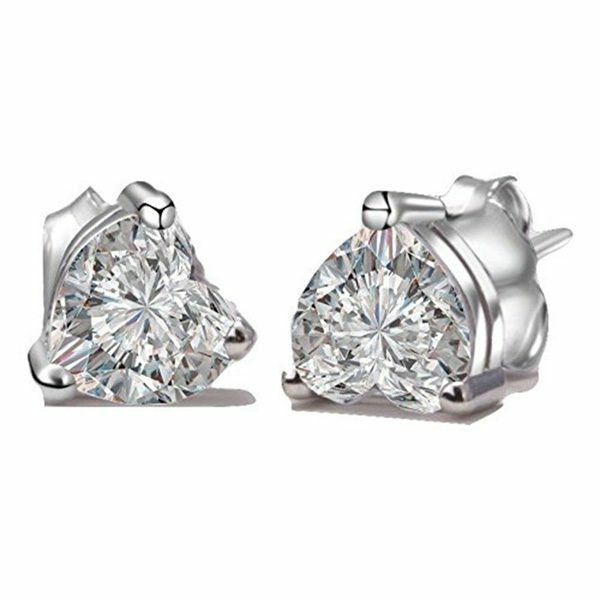 A simulated rose diamond stud is ideal to wear with formal outfits. Its pristine appeal is going to make you relish each and every second that you choose to wear it. 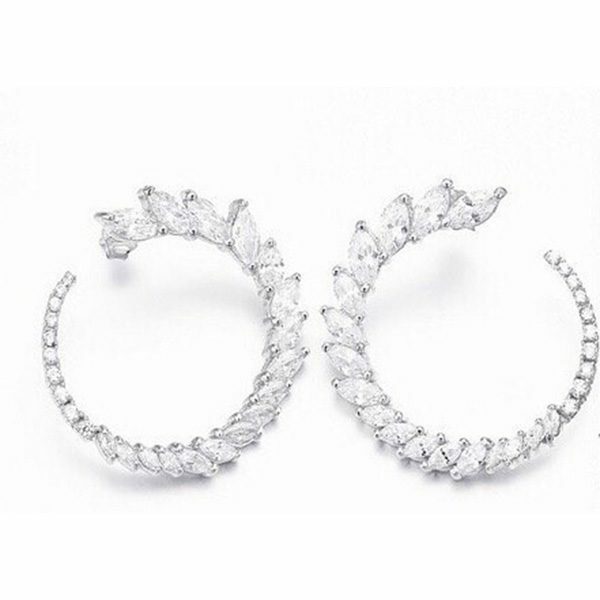 These simulated diamond earrings are part of our unique range and are amongst the most stylish drop earrings available anywhere. The cascading effect looped into a circle forms some of the most attractive jewellery we have at Karianne’s Secret. 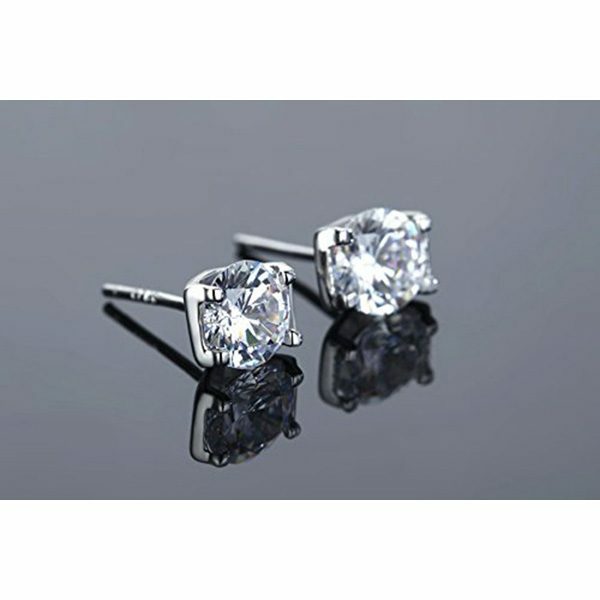 At a realistic price theses earring are one of our best sellers. This freshwater pearl set in a simple classic design will appeal to many women. Understated they are the embodiment of drop earrings. Ideal as a gift any woman will be impressed by these lovely drops. This design is on the more extravagant side but we included it here because it can offer a more fashionable option with the right outfit. 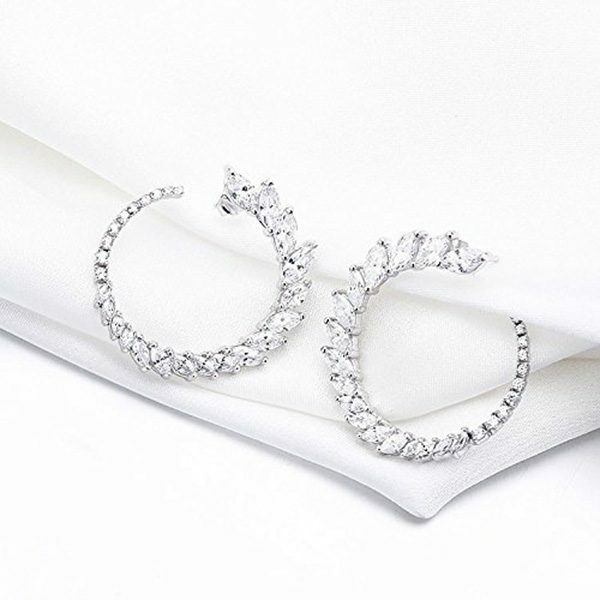 Most women like to have a variety of styles and this pair is a great addition to a jewellery collection. Another option for hoop earrings and an alternative to the spherical design described earlier, these drop earring might be more yo your liking. This shows that Karianne’s Secret we carefully select styles to meet individual customers tastes. This design, like the others, is set in Sterling Silver and adds a sparkle to both, the wearer’s eye and apparel. It is one of our more extravagant designs and is ideal for the more adventurous woman. Adding colour and flavour to your dress, these earrings coupled with precious blue topaz are likely to draw compliments from your friends. They feature quite an exquisite cut and can be worn with almost any dress, gown or other formal outfit. Lastly, if the Blue Topaz isn’t to your liking, then maybe this silver sleeper earrings or Amethyst shade of Earrings, set in the same stone and sterling silver, might suit your preferences.